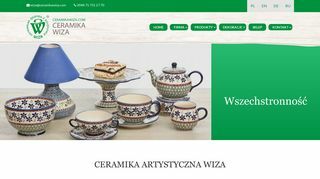 Wiza Artistic Pottery – Manufacturer of tea and coffee sets, kettles, dishware, and handmade pottery. Poland. – Manufacturer of tea and coffee sets, kettles, dishware, and handmade pottery. Poland.